Just like sunshine and chirping birds, ubiquitous For Sale signs are a sure sign of spring. More than ten years after the Great Recession, which saw home prices plummet, the housing market has certainly come a long way from the bottom. Despite significant improvement, however, home ownership rates are still at historic lows. While there are a number of factors depressing home ownership, changing generational habits among the younger generation are accounting for some of this shift. Unlike their predecessors, baby boomers (those born roughly 1946-64) have made wellness a priority. They are living longer and staying active later than previous generations, and they have been slower to sell their single-family homes. According to a report by Morgan Stanley, people over 65 currently own a record percentage of homes. Seniors are simply holding onto their properties into older age. (1) These homes will need to be sold at some point, however, to make way for a younger generation of home buyers. So far, that just hasn’t happened. In 2000, 10% of homeowners in their late 60s sold their house by the time they reached their late 70s; but that number was roughly halved by 2017. When the baby boomers do eventually start selling, we anticipate a reversal of recent low inventory trends. As millennials (the group born from 1981-1996) age, the stereotype of the Gen Y basement dweller is finally starting to wane. Twenties and thirties are the peak age for household formation, and this generation is no exception. Sources: 1990 and 2000 Decennial Censuses and the 2015 American Community Survey. Millennials are choosing to marry later, which is, in general, delaying new household formation. (3) Many millennials are also saddled with crippling amounts of student loan debt, making it difficult to save for a down payment or even qualify for a mortgage. Lastly, especially in high cost-of-living areas, renting instead of buying can simply be more financially attractive for many families. Boomer supply + millennial demand = ? 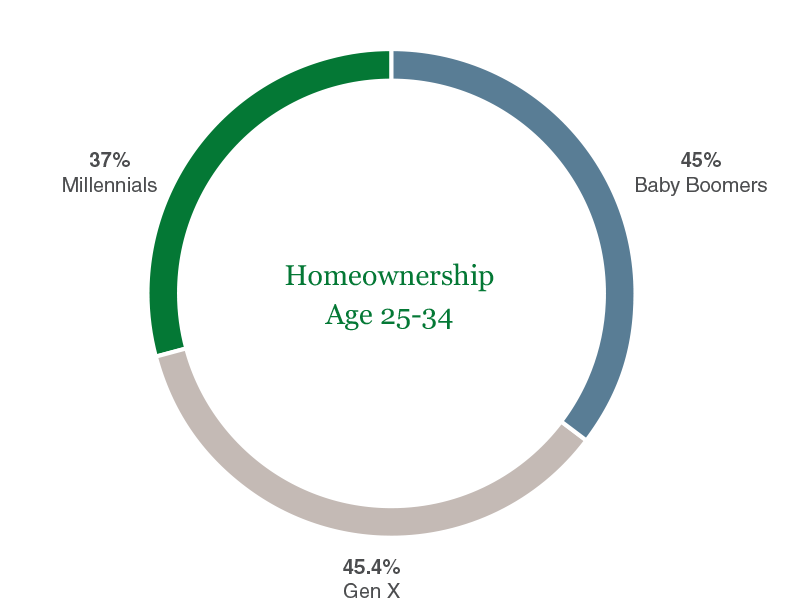 If a large number of boomers eventually put their homes on the market (creating supply), and more and more millennials form households (boosting demand), what does that mean for housing? Will these numbers even out? Given the glut of inventory baby boomers are likely to create, and millennials’ propensity to rent, we believe that the answer is no. We expect to see an excess of supply for years to come. 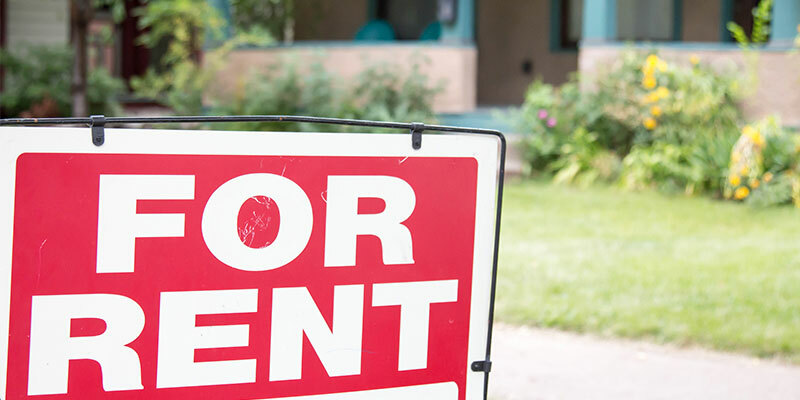 The nature of rental demand has changed in a way that makes the trend seem likely to persist. For example, in 2016, households with an income of $100,000 or more accounted for 18% of renters, vs. just 12% in 2006, according the Joint Center for Housing at Harvard University. (4) This indicates that even those who can afford to own are choosing to rent. What are the investment implications? As renting remains the best option for many millennials, we see strength in rentals, especially in the single-family rental space. Single-family rentals account for around 39% of the rental market. Although they make up only 24% of apartment-heavy metro areas, about three quarters of rural rentals are single-family units. (4) The sector is not new, but it has grown significantly in recent years. Greater demand for rentals and the gradual migration of millennials to suburban areas has boosted the popularity of single family rentals. Source: JCHS tabulations of US Census Bureau, 2016 American Community Survey 1-Year Estimates. Although the single-family sector is not new as an asset class, it is new as an investment space. In the past, it has been more fragmented, with so-called “mom and pop” investors owning maybe one or two properties. 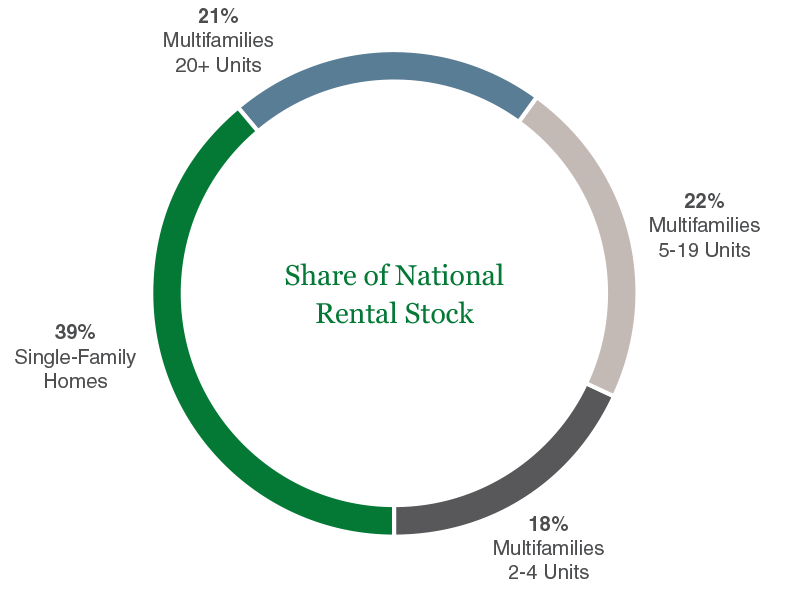 In recent years, however, several companies have formed and invested heavily in singlefamily rentals. Today, there are seven major institutional owners (three of which are publicly traded) that own more than 10,000 homes each. Because we feel rental is the focus in housing right now, we are avoiding certain other areas. For example, we do not currently own any homebuilders. We are also seeing less opportunity in senior housing. Baby boomers are retaining their homes for longer periods of time even as the population continues aging. At the same time, many new senior housing facilities are being built, leading us to believe that there will be excess supply given the current level of demand. Housing data can be volatile on a month-to-month basis, which is why we look at long-term trends like these to determine where markets are headed. As always, we are keeping a pulse on multiple indicators in order to uncover the best possible investment opportunities.